Taku Senoo received the B.E. degree in applied physics from Waseda University in 2003, and the M.E. and the Ph.D. degrees in information physics and computing from the University of Tokyo in 2005 and 2008, respectively. He was a research fellow of japan society for the promotion of science from 2005 to 2008, a project research fellow from 2008 to 2010, a project assistant professor from 2010 to 2015, and an assistant professor from 2015 to 2018 at the University of Tokyo. 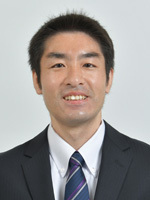 He is currently a Lecturer / Assistant Professor of information physics and computing, the University of Tokyo. Dynamic Manipulation, Hand-arm Coordination, High-speed Visual Feedback Control, and Bipedal Robots. Keisuke Koyama, Kenichi Murakami, Taku Senoo, Makoto Shimojo and Masatoshi Ishikawa: High-speed, Small-deformation Catching of Soft Objects based on Active Vision and Proximity Sensing, IEEE Robotics and Automation Letters, Vol. 4, No. 2, pp. 578-585, 2019. Keisuke Koyama, Makoto Shimojo, Taku Senoo and Masatoshi Ishikawa: High-Speed High-Precision Proximity Sensor for Detection of Tilt, Distance and Contact, IEEE Robotics and Automation Letters, Vol. 3, No. 4, pp. 3224-3231, 2018. Yusuke Tsukamoto, Yuji Yamakawa, Taku Senoo and Masatoshi Ishikawa: Control of Elastic Robot Arm by Feedback of Shape Information with High-speed Vision, Transactions of the Society of Instrument and Control Engineers, Vol.54, No.5, pp.468-475, 2018. Tomohiko Hayakawa, Takanoshin Watanabe, Taku Senoo, and Masatoshi Ishikawa: Gain-compensation Methodology for a Sinusoidal Scan of a Galvanometer Mirror in Proportional-Integral-Differential Control Using Pre-emphasis Techniques, Journal of Visualized Experiments, Issue 122, e55431, 2017. Tomoki Tamada, Wataru Ikarashi, Daiki Yoneyama, Kazuhito Tanaka, Yuji Yamakawa, Taku Senoo and Masatoshi Ishikawa: Development of High-speed Bipedal Running Robot System (ACHIRES), Journal of the Robotics Society of Japan, Vol. 33, No. 7, pp. 482-489, 2015. Shouren Huang, Yuji Yamakawa, Taku Senoo and Masatoshi Ishikawa: A Pre-compensation Fuzzy Logic Algorithm Designed for the Dynamic Compensation Robotic System, International Journal of Advanced Robotic Systems, Vol. 12, No. 3, pp. 1-12, 2015. Taku Senoo, Mitsuhiro Takano and Masatoshi Ishikawa: Dynamic Biped Locomotion Using Asymmetry of Sliding Friction, Journal of the Robotics Society of Japan, Vol. 31, No. 3, pp. 301-309, 2013. Taku Senoo, Akio Namiki and Masatoshi Ishikawa: Hybrid Trajectory Generation of an Articulated Manipulator for High-speed Batting, Journal of the Robotics Society of Japan, Vol. 24, No. 4, pp. 515-522, 2006. Shouren Huang, Yuji Yamakawa, Taku Senoo and Niklas Bergström: Dynamic Compensation based on High-speed Vision and its Application to Industrial Robots, Journal of the Robotics Society of Japan, Vol.35, No.8, pp. 591-595, 2017. Taku Senoo, Yuji Yamakawa and Masatoshi Ishikawa: Robot Application of High-speed Vision, Journal of the Robotics Society of Japan, Vol.32, No.9, pp.769-773, 2014. Yoshihiro Watanabe, Taku Senoo and Masatoshi Ishikawa: High Speed Robots Using High Speed Vision, Robot, Vol.192, pp.47-53, 2010. Namiki Akio, Taku Senoo and Masatoshi Ishikawa: Development of a High-speed Batting Robot System, Journal of Society of Automotive Engineers of Japan, Vol.58, No.9, pp.79-80, 2004. Taku Senoo, Kenichi Murakami, and Masatoshi Ishikawa: Robotic Physical Interaction Using Deformation Control Based on the Zener Model, 2018 IEEE/RSJ International Conference on Cyborg and Bionic Systems, (Shenzhen, China, 2018.10.27) / Proceedings, pp. 445-448, 2018. Ryosuke Higo, Yuji Yamakawa, Taku Senoo and Masatoshi Ishikawa: Rubik's Cube Handling Using a High-Speed Multi-Fingered Hand and a High-Speed Vision System, 2018 IEEE/RSJ International Conference on Intelligent Robots and Systems, (Madrid, Spain, 2018.10.4) / Proceedings, pp. 6609-6614, 2018. Kenichi Murakami, Lihui Wang, Tomohiko Hayakawa, Taku Senoo, Masatoshi Ishikawa: Catching Robot Hand System in Dynamic Depth Variation with a Rotating Variable Focusing Unit, Frontiers in Optics 2017 (Washington DC, USA. 2017.9.19) / Proceedings, JTu2A.52, 2017. Taku Senoo, Kenichi Murakami and Masatoshi Ishikawa: Deformable Robot Behavior based on the Standard Linear Solid Model, 2017 IEEE Conference on Control Technology and Applications (Hawaii, USA, 2017.8.28) / Proceedings, pp. 746-751, 2017. Shouren Huang, Niklas Bergstrom, Yuji Yamakawa, Taku Senoo and Masatoshi Ishikawa: Robotic Contour Tracing with High-Speed Vision and Force-Torque Sensing based on Dynamic Compensation Scheme, The 20th World Congress of the International Federation of Automatic Control (Toulouse, France, 2017.7.1) / Proceedings, pp. 4702-4708, 2017. Hiroshi Sato, Yuji Yamakawa, Taku Senoo and Masatoshi Ishikawa: Development of a High-speed, High-accuracy Robot Hand for Micromanipulation, 2016 IEEE International Conference on Robotics and Biomimetics (Qingdao, China, 2016.12.6) / Proceedings, pp. 1535-1541, 2016. Masanori Koike, Taku Senoo, Kenichi Murakami and Masatoshi Ishikawa: Plastic Deformation Control Based on Time-varying Impedance Adjustment, 2016 IEEE International Conference on Robotics and Biomimetics, (Qingdao, China, 2016.12.4) / Proceedings, pp. 106-111, 2016. Niklas Bergström, Shouren Huang, Yuji Yamakawa, Taku Senoo, Masatoshi Ishikawa: Towards Assistive Human-Robot Micro Manipulation, 2016 IEEE-RAS International Conference on Humanoid Robots, (Cancun, Mexico, 2016.11.17) / Proceedings, pp. 1188-1195, 2016. Shouren Huang, Niklas Bergström, Yuji Yamakawa, Taku Senoo and Masatoshi Ishikawa: High-Speed Visual Feedback for Realizing High-Performance Robotic Manipulation, The 31st International Congress on High Speed Imaging and Photonics, (Osaka, 2016.11.10) / Proceedings, pp. 730-735, 2016. Kenichi Murakami, Yuji Yamakawa, Taku Senoo and Masatoshi Ishikawa: Rolling Manipulation for Throwing Breaking Balls by Changing Grasping Forms, 2016 IEEE Industrial Electronics Conference, (Florence, Italy, 2016.10.26) / Proceedings, pp. 791-796, 2016. Taku Senoo, Gaku Jinnai, Kenichi Murakami and Masatoshi Ishikawa: Deformation Control of a Multijoint Manipulator Based on Maxwell and Voigt Models, 2016 IEEE/RSJ International Conference on Intelligent Robots and Systems, (Daejeon, Korea, 2016.10.12) / Proceedings, pp. 2711-2716, 2016. Shouren Huang, Niklas Bergström, Yuji Yamakawa, Taku Senoo and Masatoshi Ishikawa: High-Performance Robotic Contour Tracking based on the Dynamic Compensation, 2016 IEEE International Conference on Robotics and Automation, (Stockholm, Sweden, 2016.5.18) / Proceedings, pp. 3886-3893, 2016. Masanori Koike, Kenichi Murakami, Taku Senoo and Masatoshi Ishikawa: Visual Shock Absorber Based on Plastic Deformation Control, 2015 IEEE International Conference on Robotics and Biomimetics, (Zhuhai, China, 2015.12.7) / Proceedings, pp.656-661. Shouren Huang, Yuji Yamakawa, Taku Senoo and Masatoshi Ishikawa: Robotic Needle Threading Manipulation based on High-Speed Motion Strategy using High-Speed Visual Feedback, 2015 IEEE/RSJ International Conference on Intelligent Robots and Systems, (Hamburg, Germany, 2015.9.30) / Proceedings, pp. 4041-4046. Taku Senoo, Masanori Koike, Kenichi Murakami and Masatoshi Ishikawa: Visual Shock Absorber Based on Maxwell Model for Anti-Rebound Control, 2015 IEEE/RSJ International Conference on Intelligent Robots and Systems, (Hamburg, Germany, 2015.9.29) / Proceedings, pp. 1640-1645. Hyuno Kim, Yuji Yamakawa, Taku Senoo and Masatoshi Ishikawa: Robotic Manipulation of Rotating Object via Twisted Thread Using High-speed Visual Sensing and Feedback, 2015 IEEE International Conference on Multisensor Fusion and Integration for Intelligent Systems, (San Diego, USA, 2015.9.16) / Proceedings, pp. 265-270. Shouren Huang, Yuji Yamakawa, Taku Senoo and Masatoshi Ishikawa: Realizing 1D Robotic Catching Without Prediction Based on Dynamic Compensation Concept. 2015 IEEE/ASME International Conference on Advanced Intelligent Mechatronics. (Busan, Korea, 2015.7.10) / Proceedings, pp.1629-1634. Hyuno Kim, Yuji Yamakawa, Taku Senoo and Masatoshi Ishikawa. Manipulation Model of Thread-Rotor Object by a Robotic Hand for High-speed Visual Feedback Control. 2014 IEEE/ASME International Conference on Advanced Intelligent Mechatronics. (Besancon, France, 2014.7.9) / Proceedings, pp.924-930. Shouren Huang, Kenichi Murakami, Yuji Yamakawa, Taku Senoo and Masatoshi Ishikawa: Fast Peg-and-Hole Alignment Using Visual Compliance, 2013 IEEE/RSJ International Conference on Intelligent Robots and Systems, (Tokyo, 2013.11.4) / Proceedings, pp.286-292. Yuji Yamakawa, Yoshiyuki Tabata, Taku Senoo and Masatoshi Ishikawa. 3D Shape Reconstruction of an Object based on its Silhouette using a High-speed Vision, SICE Annual Conference 2013. (Aichi, 2013.9.17) / Proceedings, pp.1966-1971. Shouren Huang, Yuji Yamakawa, Taku Senoo and Masatoshi Ishikawa. Realizing Peg-and-Hole Alignment with One Eye-in-Hand High-Speed Camera. 2013 IEEE/ASME International Conference on Advanced Intelligent Mechatronics. (Wollongong, Australia, 2013.7.11) / Proceedings, pp.1127-1132. Taku Senoo and Masatoshi Ishikawa. Two-Dimensional Analysis of Dynamic Biped Locomotion Based on Feet Slip. 2013 IEEE/ASME International Conference on Advanced Intelligent Mechatronics. (Wollongong, Australia, 2013.7.10) / Proceedings, pp.512-517. Shouren Huang, Yuji Yamakawa, Taku Senoo and Masatoshi Ishikawa. A Direct Visual Servo Scheme Based on Simplified Interaction Matrix for High-Speed Manipulation. 2012 IEEE International Conference on Robotics and Biomimetics. (Guangzhou, China, 2012.12.13) / Proceedings, pp.1950-1955. Niklas Bergstrom, Carl Henrik Ek, Danica Kragic, Yuji Yamakawa, Taku Senoo and Masatoshi Ishikawa. On-Line Learning of Temporal State Models for Flexible Objects. 2012 IEEE-RAS International Conference on Humanoid Robots. (Osaka, Japan, 2012.12.1) / Proceedings, pp.712-718. Taku Senoo, Mitsuhiro Takano and Masatoshi Ishikawa. Dynamic Horizontal Movement of a Bipedal Robot Using Frictional Asymmetry. 2012 IEEE/RSJ International Conference on Intelligent Robots and Systems. (Vilamoura, Portugal, 2012.10.9) / Proceedings, pp.1834-1839. Kenichi Murakami, Taku Senoo and Masatoshi Ishikawa. High-speed Catching Based on Inverse Motion Approach. 2011 IEEE International Conference on Robotics and Biomimetics. (Phuket, Thailand, 2011.12.9) / Proceedings, pp.1308-1313. Taku Senoo, Yuichi Tanno and Masatoshi Ishikawa. Jumping Patterns Analysis for 1-DOF Two-legged Robot. 11th International Conference on Control, Automation, Robotics and Vision. (Singapore, 2010.12.8) / Proceedings, pp.603-608. Taku Senoo, Daiki Yoneyama, Akio Namiki and Masatoshi Ishikawa. Tweezers-type Tool Manipulation by a High-speed Robot System. IEEE International Conference on Biomedical Robotics and Biomechatronics. (Tokyo, Japan, 2010.9.26) / Workshop. Sho Morikawa, Taku Senoo, Akio Namiki, Masatoshi Ishikawa. Realtime collision avoidance using a robot manipulator with light-weight small high-speed vision systems. 2007 IEEE International Conference on Robotics and Automation. (Roma, Italy, 2007.4.11) / Proceedings, pp.794-799. Akio Namiki, Taku Senoo, Noriatsu Furukawa and Masatoshi Ishikawa. Visuomotor Integration in High-speed Manipulation System. SICE-ICASE International Joint Conference 2006. (Busan, Korea, 2006.10.20) / Proceedings, pp.4192-4197. Akio Namiki, Yoshiro Imai, Taku Senoo and Masatoshi Ishikawa. Dynamic Manipulation Using High-speed Multifingered Hand-Arm System -Grasping, Catching, and Batting-. 2004 IEEE International Conference on Robotics and Automation. (New Orleans, USA, 2004. 4.26-5.1) / Video Proceedings, No.L.